Ron Gremore shared the following thoughts regarding our Monday morning experience. The day started early with the launch of our “small boat of hope in a sea of darkness.” (Renee Cole). After prayer by Chuck Rapp asking for God’s protection we took a pre-dawn walk to the bank of the Ganges river to observe the ongoing practice of Hindu worship to their god Shiva. 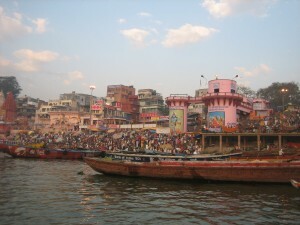 Thousands of Hindus were bathing, dipping and immersing their bodies in the river. Before we entered the boat I promptly put on the Armor of God – Ephesians 6:10. We needed this protection because we were about to witness the false belief that by immersion into the Ganges ones sins would be washed away. 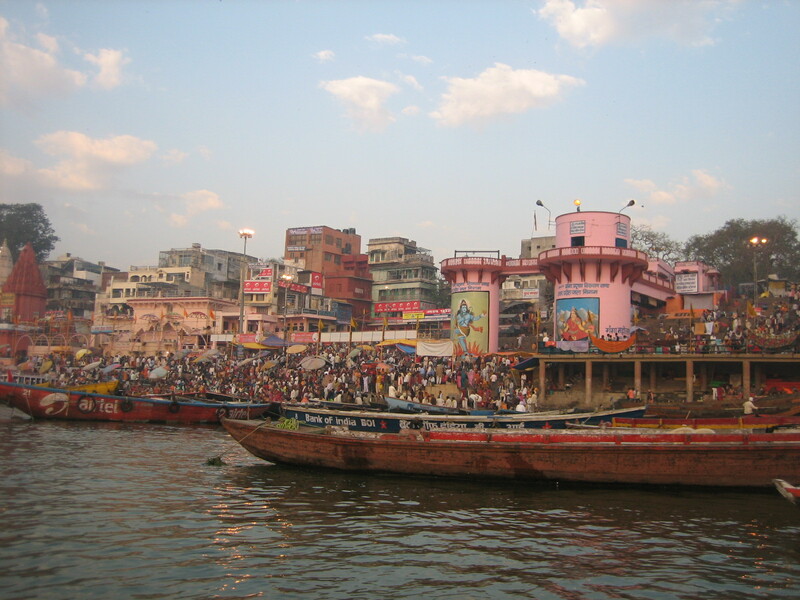 We were also going to witness the Hindu practice of cremation of the dead and having the ashes placed into the river to end the cycle of life here on earth…this false belief is practiced by thousands of Hindus along the Ganges River every day. As a Christian, I felt such hopelessness for these Hindus knowing that their practice and false belief in idols was so contrary to God true plan for His Children… “For our struggle is not against flesh and blood, but against the rulers, powers of this dark world and against the spiritual forces of evil in the heavenly realms”. Ephesians 6:12…”Therefore put on the full armor of God” Eph. 6:13. “Those who cling to worthless idols forfeit the grace that could be theirs” Jonah 2:8. I felt compassion for the Hindus who were living out and ending their lives with such a hopelessness and false belief. Hope is found in Christ, and we were also witnessing the work of the ASSI staff and their endless efforts in the face of such opposition to bring the knowledge of God’s love and hope to the masses of people in Northern India. We are blessed to be working with such righteous people. All Glory be to God, and may the name of Jesus and His life saving grace become know and famous throughout all the people groups of India.